A Royal Decree-Law published on April 20th, 2012, as an urgent austerity measure to guarantee the sustainability of the National Health Service and thus improve the quality and security of its services, has led to a spiral of doubts both amongst patients health professionals, as well as to mistakes due to the lack of information as to how the above law actually works. People who, as a consequence of this law, no longer have a health card, now find themselves in an untenable situation, as they have lost the right to free medical care in our country. According to this new decree, anyone who is ill and who does not have a health card can only be seen via the emergency services. There are some exceptions in the application of this general rule, which allow medical assistance in equal conditions as those of Spanish nationals to underage youngsters, pregnant women or those who suffer from infectious contagious diseases or mental illness, independently of their administrative or working situation. In many of our hospitals, incidents are constantly occurring that could be considered serious, due to lack of information both amongst the public and within the institutions themselves. In practice, anyone who does not present a valid health card is indiscriminately being forced to sign a payment commitment, without having been evaluated previously by a doctor, who is the only person who is able to establish the degree of urgency or the needs that the patient actually has. It has to be said that the above exceptions are not being respected, which means that underage, pregnant or contagious people are being billed for their medical care. As a consequence of this health reform that came into operation on September 1st, 2012, groups of volunteers have formed to accompany people along their health service process through Médicos del Mundo who, in cooperation with different platforms and associations in various regions of Spain, are offering advice and informative sessions about this change in our health rights which is causing so many doubts amongst the population and which damages large collectives within our society, leaving them at risk. Not all regions apply the same laws when it comes to health care: the Basque Country, Catalonia and Aragon refuse to apply this Royal Decree, claiming that it does not justify any savings in costs. However, the Balearics, Madrid, Valencia and Castilla-La Mancha are the most restrictive in the administration of health rights. 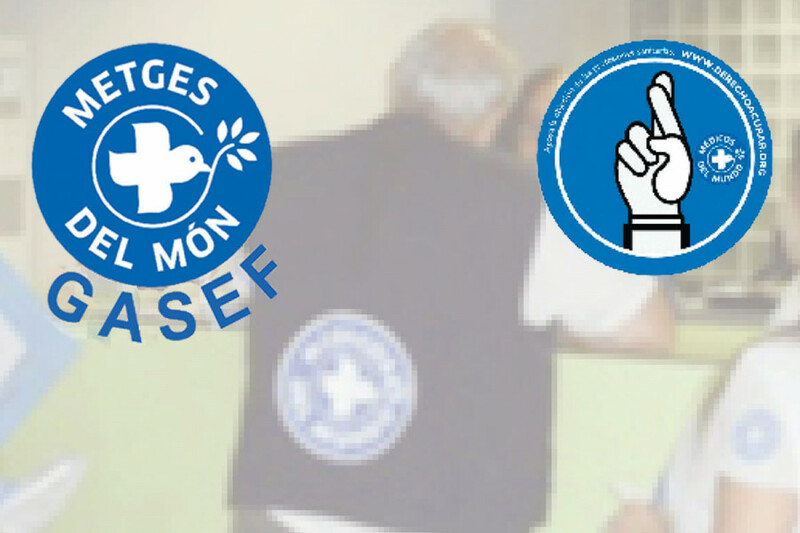 The first service that GASEF offers and which is crucially important is to inform and raise awareness about all the steps that a person who is denied medical attention needs to follow, in order to receive appropriate care. For this, they have a communication platform which promotes the access to this information and actions that must be taken in each case. They target mainly internet & phone service shops, supermarkets, restaurants and all sorts of establishments where they may reach particularly the people with the least resources, since they are the most affected and are therefore the most active points of intervention, and also, of course, hospitals and health centres. If you need counsel and accompaniment, call the GASEF line on: 727 717 550, or write to them through Facebook, or on ibiza@medicosdelmundo.org, and they will help you to solve any doubts and to claim your health care rights. This group of people is made up of volunteers and they cooperate with professionals in the areas of medicine, health care, law, social care, etc. by giving the necessary information to allow us to protect our rights. The United Nations advises Spain to revise these disproportionate measures that damage the most vulnerable collectives and recommends that the Spanish State adopt a new national programme for integral assistance regarding those on the poverty line. They also ask the State to ensure the access to health services of all the people who reside in this country, irrespective of their legal situation, in accordance with the universal right to health assistance. This situation is beginning to affect a large part of the population, and must be treated with responsibility and care. Being informed is essential in order to take part in the solutions.